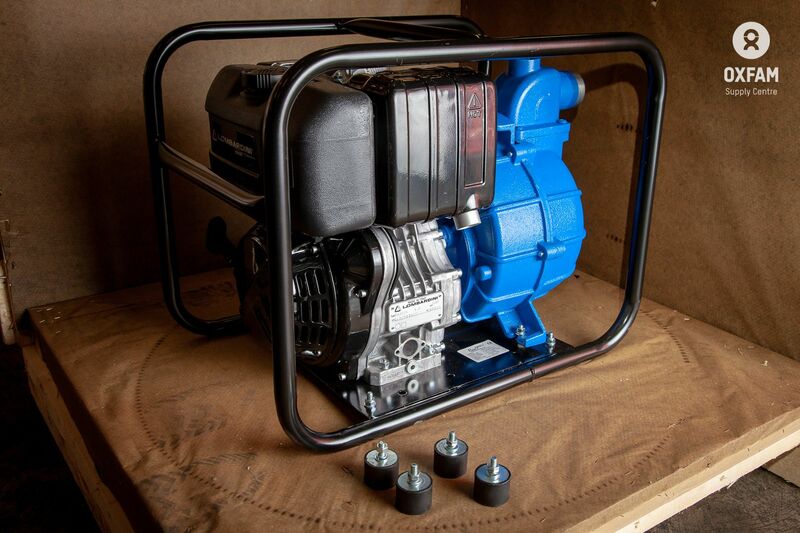 A reliable and robust diesel powered pumpset with 2" suction and delivery connections. Capable of delivering 6 l/s at 25m head. Suction head to 7m. 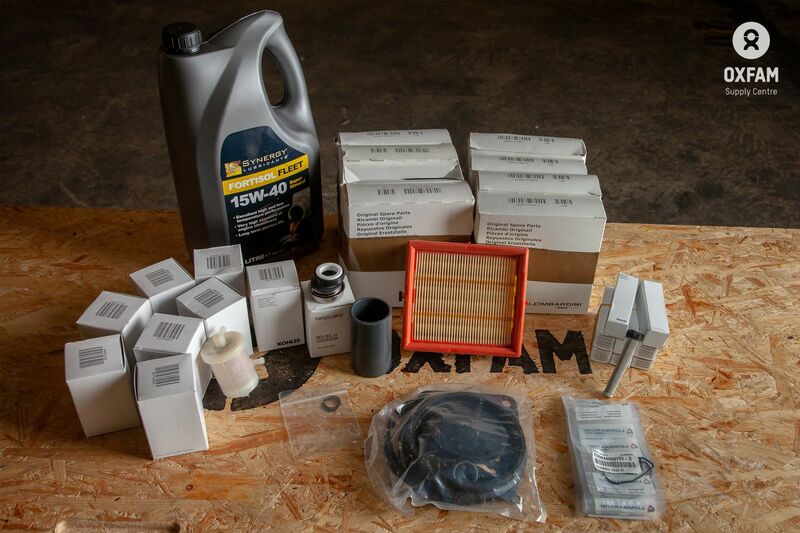 Kit includes hoses, all fittings for initial set-up and operation of the pump and service spares for the first year of operation. Used for pumping from source to storage or for distribution. Pump is supplied mounted to the base of the crate. This is to provide a platform to keep the unit off the ground. Rubber foot pads are also supplied for the frame. 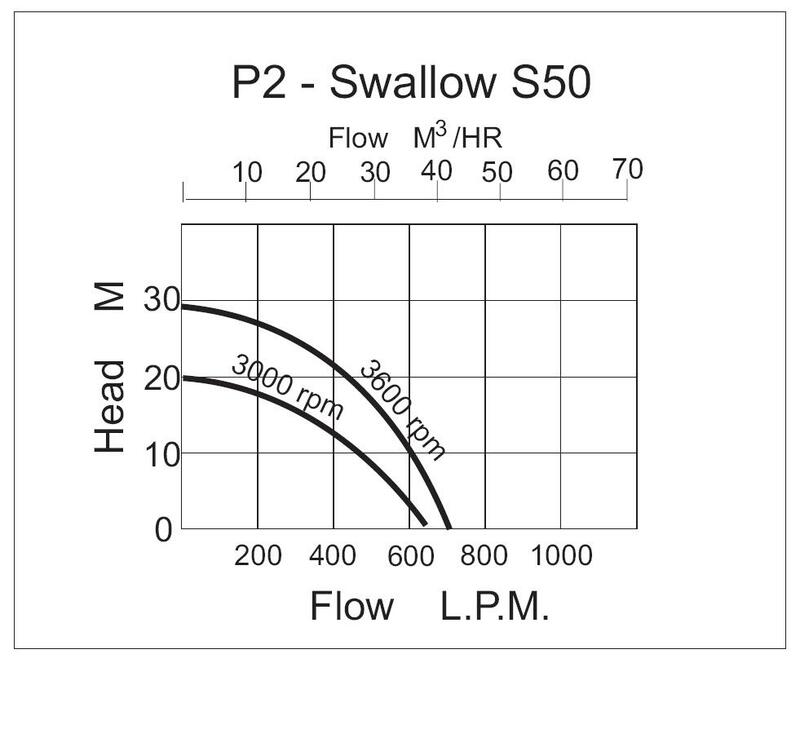 The fittings included are sufficient for most uses illustrated in the Surface Water Pumping Manual. 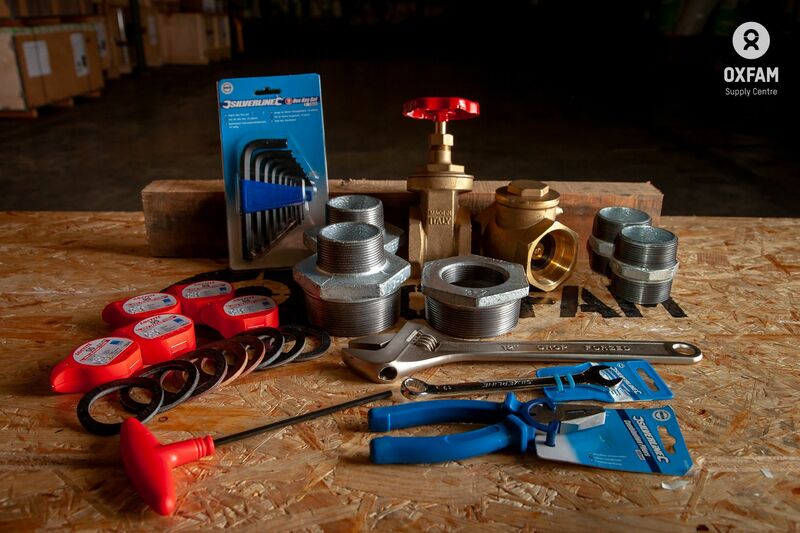 The Pump Fittings kit, should be ordered to enable two pumps to be installed in series or parallel. For optimum performance 2" suction/delivery pipework is supplied. 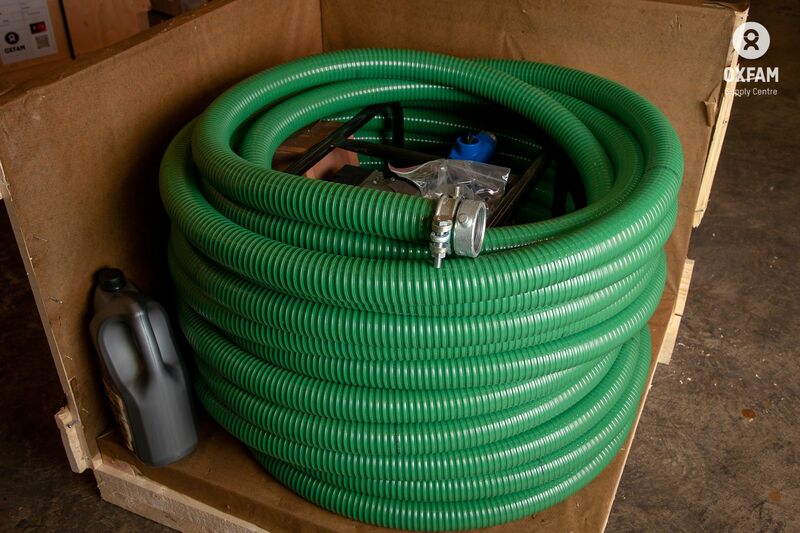 3" Reducers are provided to connect to fittings commonly used in other Oxfam water equipment kits. A 2" gate valve is included to allow optional throttling at outlet. It can also act as an isolation valve. Pumping against a fully closed valve must be avoided. The valve must always be open during priming. Single stage centrifugal self priming pump with 2” BSP(M) suction & 2” BSP(M) delivery connections. Cast iron construction with 2 stage mechanical carbon/ceramic seal, stainless steel shaft sleeve, renewable steel wear plate, integral non-return valve, prime and drain points. Single cylinder air-cooled, diesel engine with recoil start and starting handle, renewable element air, oil and fuel filters, 3 litre (3 hour) fuel tank, automatic low oil shut down, throttle control, oil drain tap and exhaust silencer. Pump and engine are close coupled together and mounted on a common fabricated steel baseplate. Drilled for 4 x M10 holding down bolts. 5 1 Each Valve, Gate, 2"
18 10 Each Washers, Hose coupling, 2"
NOTE: When ordering spares quote the pump/engine identification number on the base plate. It may be possible to purchase suitable alternative pumps in the regions. Factors to be considered: quality/durability of equipment, reliability, performance characteristics, full specification of kit – ensure comparisons are like-for-like, compatibility with other equipment (including that of other agencies), spare parts availability.